Targeting the Congress, Union Minority Affairs Minister Mukhtar Abbas Naqvi on Tuesday said the Kashmir problem is its legacy and the party still believes in shielding separatism in the Valley. "It was the Congress that gave birth and nurtured separatism in Kashmir. The party now thinks that it is its duty to protect this problem. 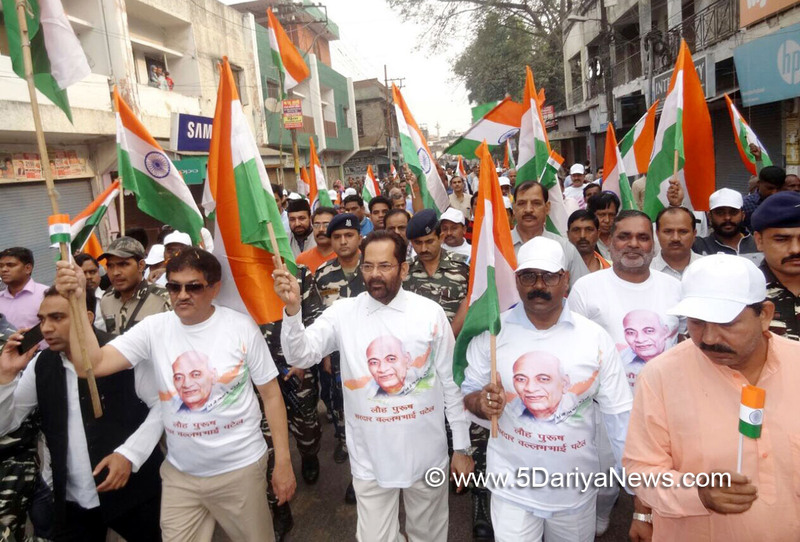 "That is why their leaders often speak in the same voice as that of Kashmiri separatists," Naqvi said while taking part in the 'Run for Unity' which started from Miston Ganj Chauraha and culminated at Gandhi Samadhi in this Uttar Pradesh town Naqvi said that while the Bharatiya Janata Party (BJP) government wants to free Kashmir from terrorists and separatists, the Congress "and some of their political friends are trying to protect separatist forces". He said the encouragement to separatism is disturbing the atmosphere of peace that has been created by PDP-BJP government in Jammu and Kashmir.He asserted that the for the BJP, national security is not an issue of 'rajniti' (politics) but that of 'rashtraniti' (national policy). "We have a clear policy on the issue of national security. We can't compromise on the issue of national security and national interests. "Our government, led by Prime Minister Narendra Modi, is committed to national unity and integrity. It will not allow any conspiracy against national interests to succeed," Naqvi said.The BJP and Congress have been engaged in a war of words since senior Congress leader and former Home Minister P. Chidambaram last week said that Kashmiris' demand for greater autonomy should be considered.